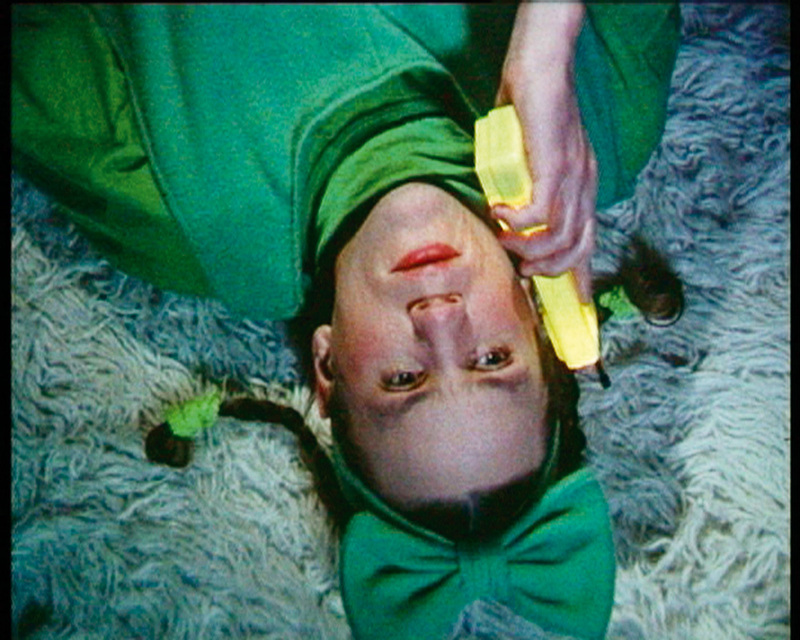 With her green bow in her hair, a naïve Dorothy from the Wizard of Oz embodies an aspect of the artist’s own personal context. She is dreaming about going beyond the confines of her urban surroundings, amongst thousands of flickering windows in apartment blocks, to travel somewhere over the rainbow. 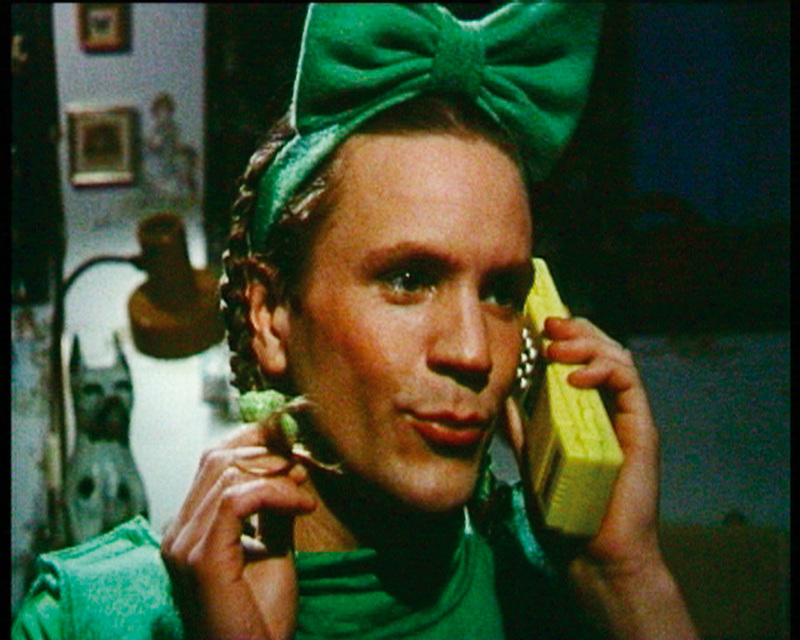 As she stumbles upon her yellow brick road, a bedside telephone, her communications take her far far away, becoming entangled in her obsession with connecting to this far away place. Swept into a cyclone of dizzying imagery, she becomes somewhat more realized, sceptical about who she is and her dreams. Much like the ubiquity of television, her dreams are nothing more than commodified imagination that has nonetheless shaped her life. In this fairy-tale land, she desperately tries to find her way back home. 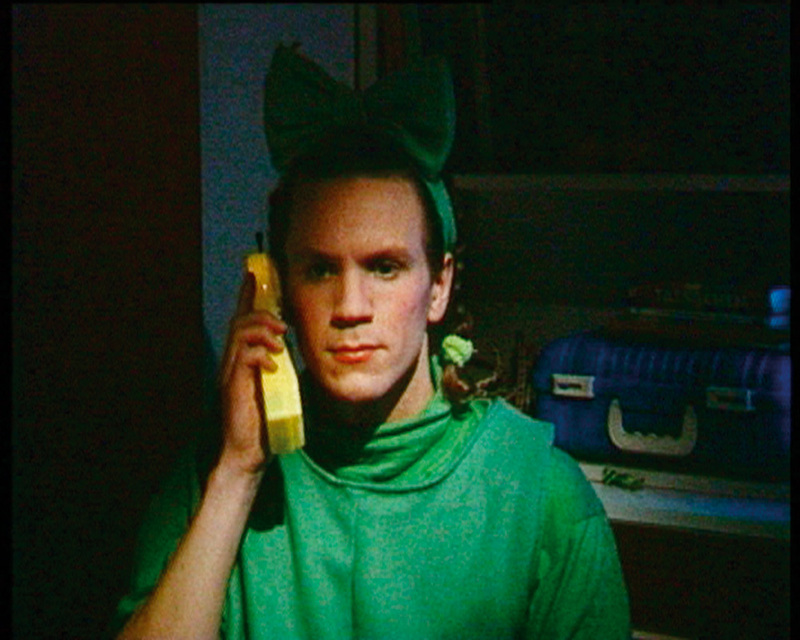 Questioning how one’s own identity is interwoven in the media’s images of reality, WEIT WEIT WEG looks into the origins of an individual. 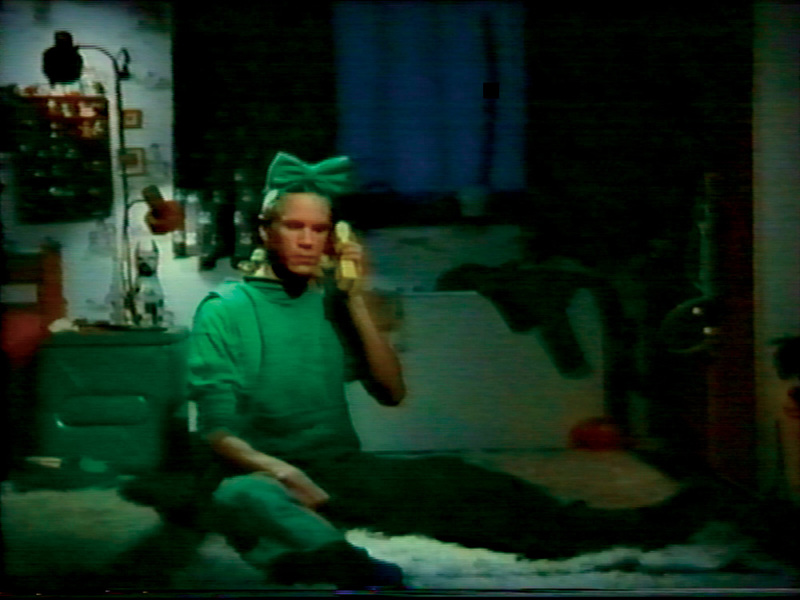 The adolsecent longing to be somewhere over the rainbow is depicited through the infamous story of Dorthy. Her desires become abstracted in a sea of electronic communications and the developing global village provided through the televised image. “Far Far Away” proposes as a central theme the loss of subjectivity in the world of the technical image but also puts out the question of the significance of this world in the re-construction of identity. 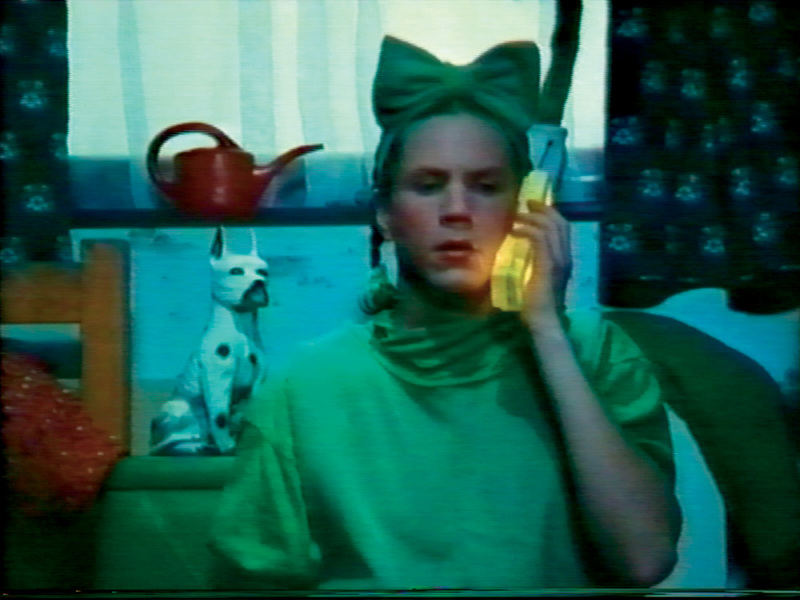 Decidedly narrative, the film tackles the age old theme of growing up/ coming of age, which here is staged as an escape from the childhood playroom. 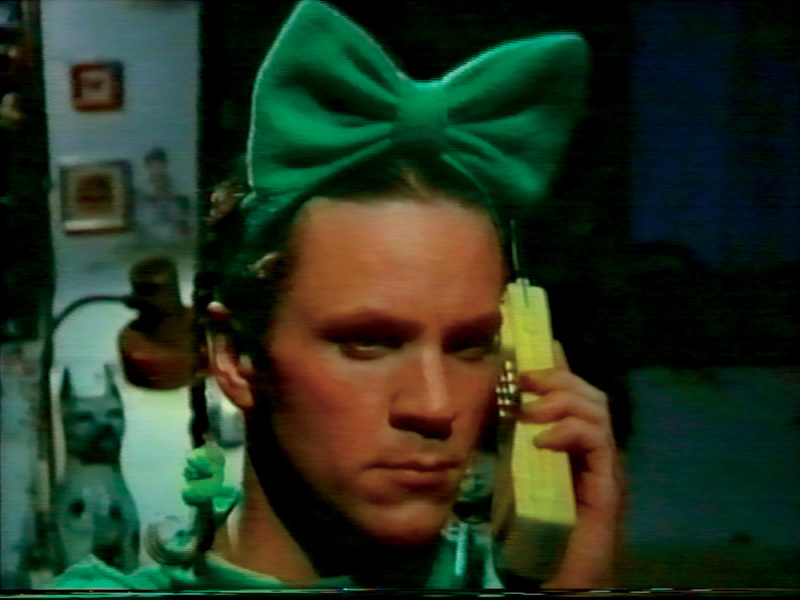 The girl Dorothy (the original sound precursor is taken from the film The Wizard of Oz with Judy Garland) tries to create her Doppelgänger with the help of a mobile phone to ultimately lead this Doppelgänger to her. But this mirror fantasy starts to develop an independent life and wants to become an agent of the big wide world, which repeatedly is shown as TV shows. Towards the end the children’s room becomes smaller and smaller, the mirror image emancipates him/herself from the “original” and develops narcissist masculine traits. The media images turn out to be both projections and mechanisms of control.